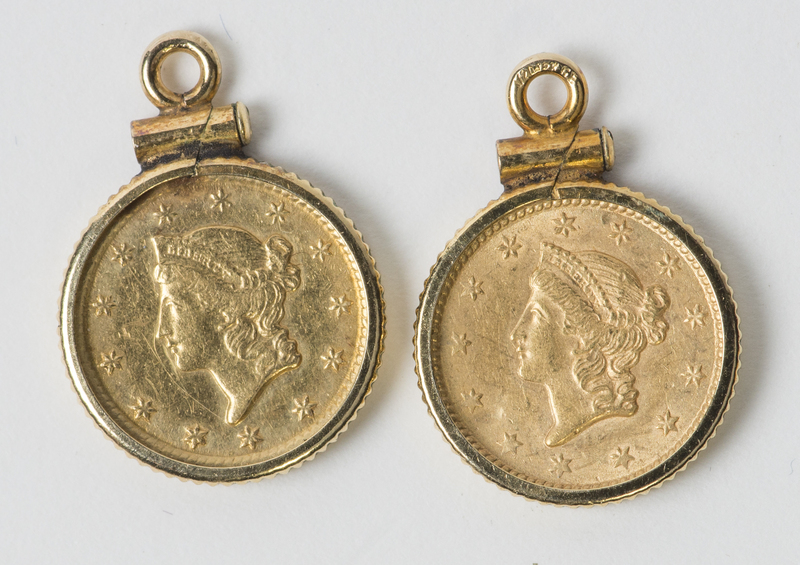 This lot includes two Type 1 US Gold Dollars: 1851-O and 1853-P, each has the Liberty head with coronet and was made from 1849-54. 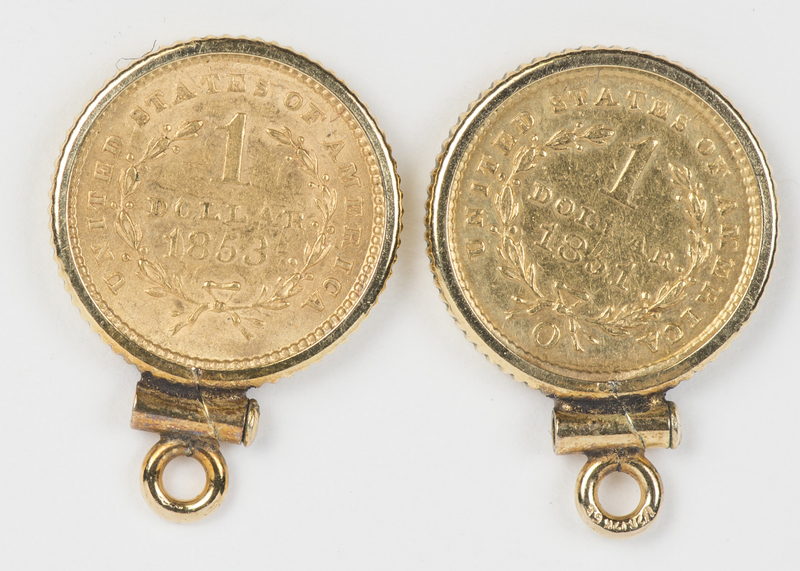 This was the smallest US coin ever minted by diameter. Both coins have had jewelry loops mounted on them.